Website design of KWMemorial.com has raised quite a few challenges. To be able to compete in such a competitive metropolitan area like Houston and its surroundings, one must have an advantage over their competitors. 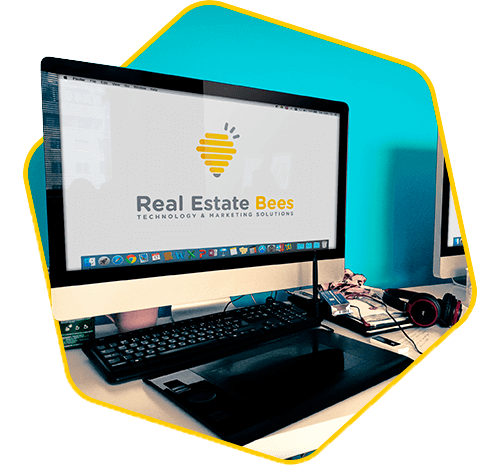 After a thorough analysis, Real Estate Bees’ digital marketing team decided that positioning KWMemorial.com website as a local market expert will set them apart from their competitors and create a consistent flow of qualified leads for their 700+ agents. Step 1 – Custom Website Design: Real Estate Bees’ web design team came up with an authoritative, beautiful, engaging, user-friendly, highly-converting and lead-generating website design that instantly established KWMemorial.com website as a local market expert. We came up with a user-friendly, visually-appealing and information-rich layout design for neighborhood and city pages where KW Memorial brokerage provides their clientele with useful local information thereby positioning itself and their agents as a local market experts. Countless hours have been spent on developing a back-end system that integrates with the leading national home service providers’ platform Youthful Home, which opened up a brand new monitization opportunity for KWMemorial.com and created an additional revenue stream. To see full website design case study, visit this Keller Williams Memorial design presentation. Step 2 – Search Engine Optimization: When Real Estate Bees’ SEO department first started working on KWMemorial.com’s search engine optimization, we faced with serious problems. First of all the website was running on some old, incompatible with SEO platform. Because of that platform, KWMemorial.com had multiple severe technical issues that significantly affect search engine visibility. Secondly, the website absolutely wasn’t optimized for the targeted, highly-converting real estate-related keywords. Finally, the website had a poor content architecture that would not allow KWMemorial.com to rank highly in search engines even if it had both of the first two points in order. Our team of real estate SEO professionals professionally identified all of these issues and came up with a comprehensive plan to help KWMemorial.com to finally gain that invaluable search engine visibility. Within just six months we were able to rank KWMemorial.com for major real estate related keywords on first page of Google and since then have been consistently gaining more and more rankings.